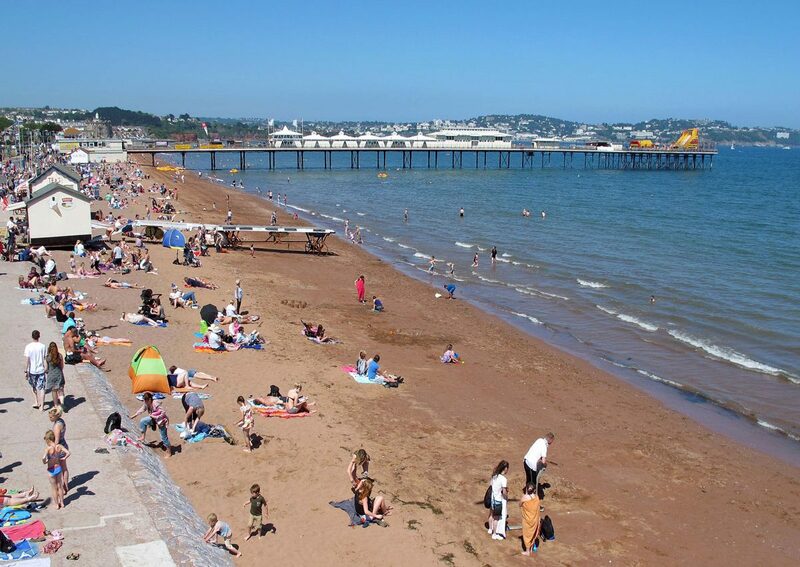 Paignton is a family seaside resort in South Devon situated between Torquay and Brixham, which between them make up the coastal resort of Torbay, or the English Riviera as it’s sometimes called. According to the 2011 census Paignton had a population of 49,021 out of a total of 130, 959 for the whole of Torbay. Although Paignton is mentioned in the Domesday Book, it’s not generally regarded as an old town and was really just a small fishing village until the railway arrived in 1859 and changed it into a place of pilgrimage for summer holidaymakers. Completely different in character from Torquay and Brixham, it has safe, sandy beaches and all the associated amenities to keep kids happy for hours. I spent many a happy family holiday here myself when I was young, and deep down I suppose it was those memories that brought me to back to live here later on in life.